547,759. That’s how many people attended FILIJ this year, up from 400,000 in 2017. 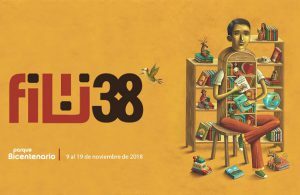 The Feria Internacional del Libro Infantil y Juvenil (International Children’s and YA Book Fair) ran from November 9 through 19, averaging 49,800 visitors a day. Too soon for a full appraisal and sales numbers for FILIJ. I’ll update this post if and when such details become available. The news of the record-breaking FILIJ event comes just as we learned about FILVEN (the International Book Fair of Venezuela) setting a new record with 643,00 visitors. Earlier this year FIL La Paz (Peru) clocked 565,000 visitors and FIL Bogota clocked 575,000 visitors. The only reason Buenos Aries did not beat its regular 1.2 million visitors is because there’s no more room to fit anybody in. FIL Guadalajara is up next, starting November 24, with over 800,000 visitors expected. But still we’re told Latinos don’t read.